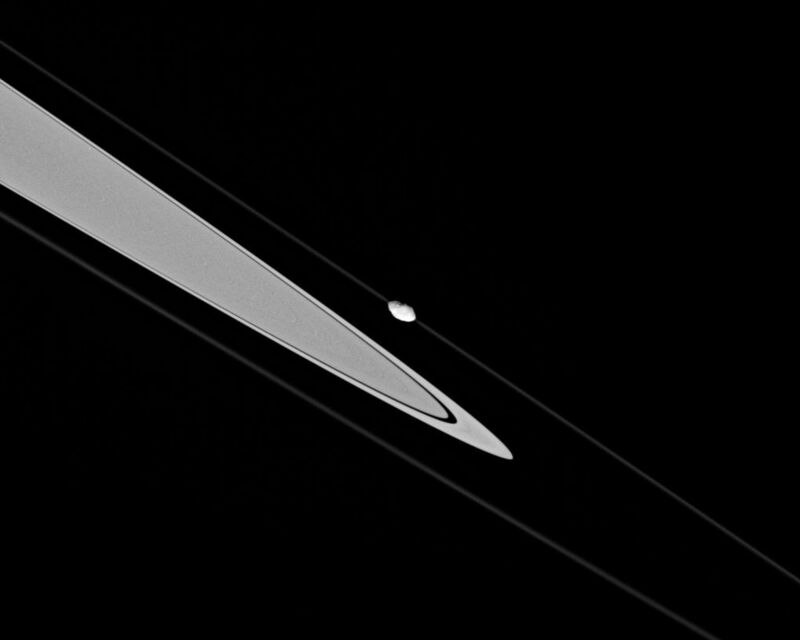 This dramatic image shows Saturn's craggy moon Pandora skimming along the F ring's outer edge. 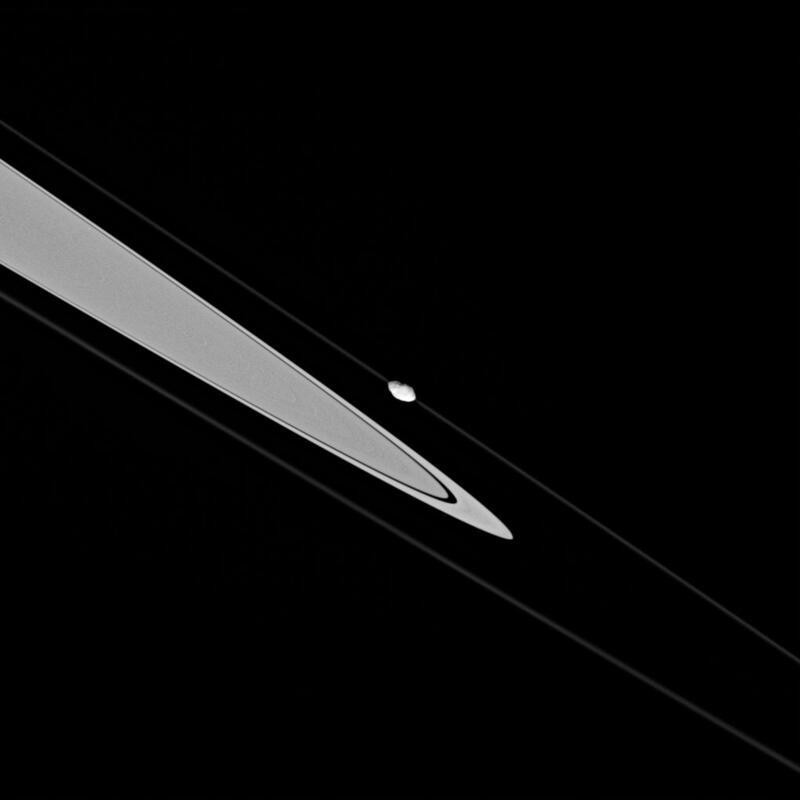 Pandora orbits about 1,000 kilometers (620 miles) exterior to the ring, but in this view is projected onto the ring. 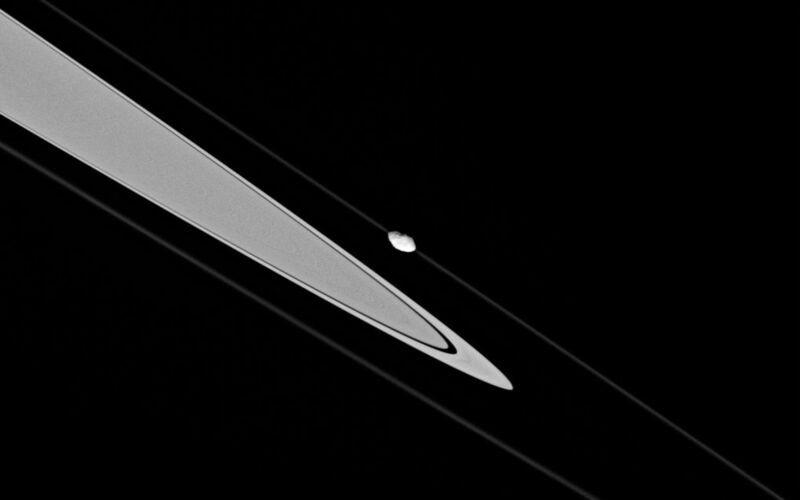 The moderately high-resolution of the image reveals the moonlet's odd shape. Pandora is 84 kilometers (52 miles) across. The image was acquired from less than a degree below the ringplane. 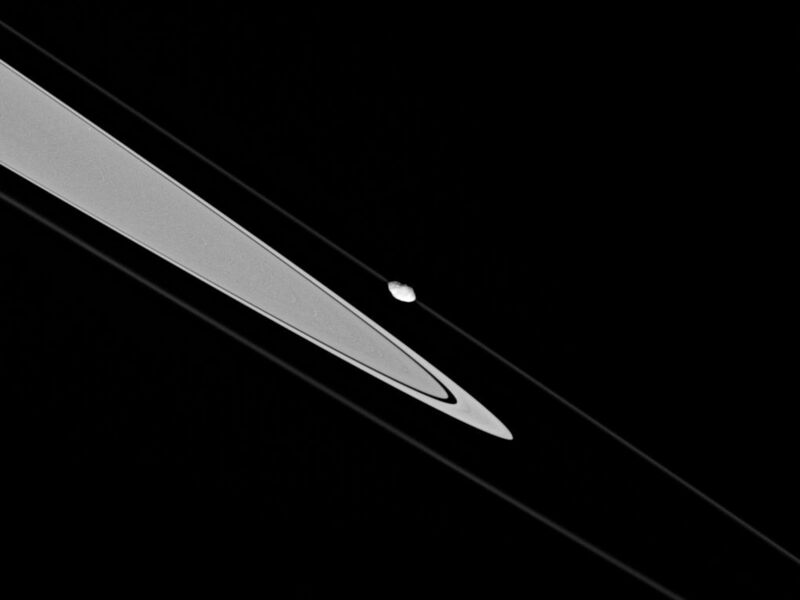 The image was taken in visible light with the Cassini spacecraft narrow-angle camera on Oct. 29, 2005, at a distance of approximately 455,000 kilometers (283,000 miles) from Pandora. The image scale is 3 kilometers (2 miles) per pixel.